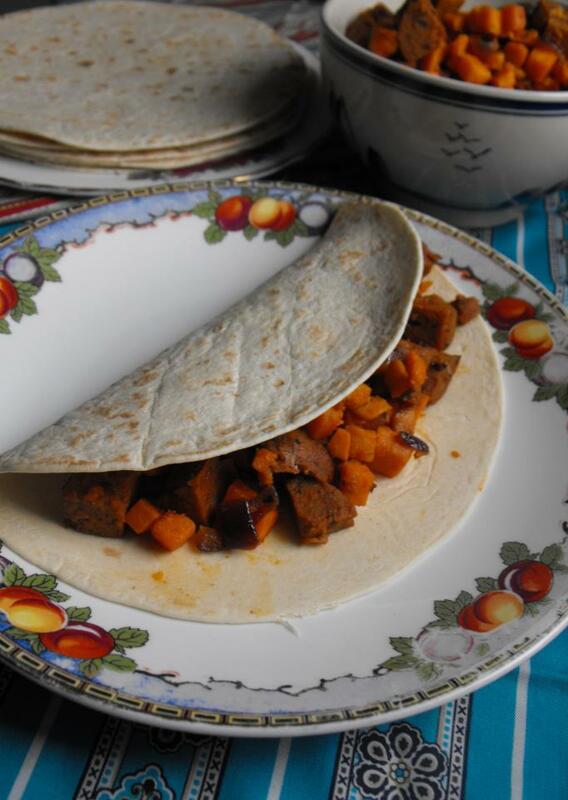 sweet potato, diced red onion and seitan chorizo ,smoked paprika saute tacos! I made a big batch of this so i can stuff the leftovers into flatbreads and take to work, you may not need so much. heat the oil in a large skillet, saute the potato till softened add the onion and saute till translucent, add chorizo and brown it off then add your spices and give a good stir through, letting everything crisp up and serve in soft tortillas. would be great served with cashew sour cream and some kinda salsa. 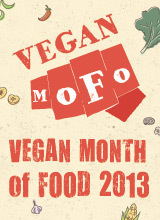 This entry was posted in mains and tagged free, meat, monday, paprika, smoked, sweet potato, vegan, vegeterian. Bookmark the permalink. This is indeed a quick lunch & great for lerftovers! Yum Yum Yum! Many greets from a foodie from Belgium!